At last! Galdap has pulled a fragment from Nerdy Show’s lost season from the void – and none too soon! Just in time for their April 19th performance in Orlando, and subsequent return to Nerdy Show we’re proud to present to you Nerdy Show’s first interview with the Protomen. This interview is an excerpt from the June 18th episode called “The Mega Show”, which celebrated everyone’s favorite blue robo-man, Mega Man. Of course, no robot episode is complete without robo expert, Mr. Brian Clevinger. “The Mega Show” was Brian’s second Nerdy Show appearance, back when he was but a lowly guest-star. This interview is a piece of history – three months before the earth-shattering release of The Protomen’s Act II, just after their debut at Bonnaroo, and a month before their first Orlando performance at the 2009 Nerdapalooza. 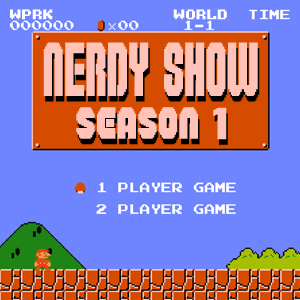 Featuring the world premier of “Keep Quiet” as well as the first murmurings of their legendary Act II release party which went on to rank second in Nerdy Show’s Top 20 Nerdy Things of 2009. For youse guys and gals in Central Florida don’t forget to come out to The Protomen’s victorious return to Orlando. 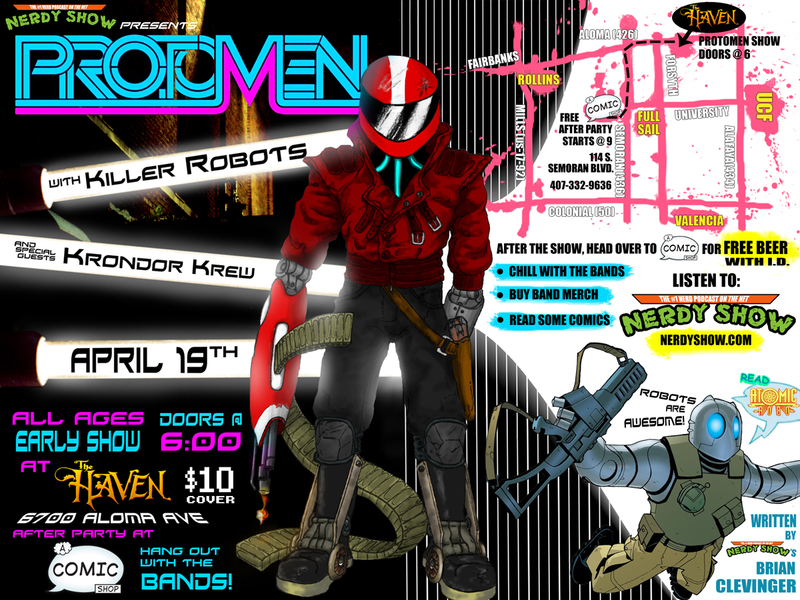 TODAY April 19th at The Haven, featuring Krondor Krew and the Killer Robots. DOORS are AT 6! And don’t forget to come to A Comic Shop for the after party where you can chill with the bands and drink some FREE BEER (with vaild I.D.) RSVP!